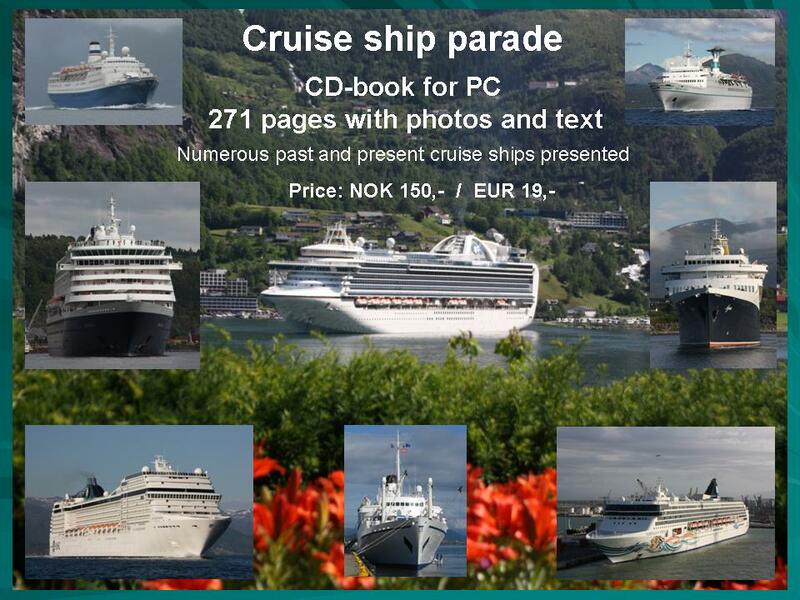 Cruise ship: (Click on the relevant camera below to view the wanted presentation page with price) RCCL - MS "Mariner of the Seas" - Post-panamax ship, "Voyager-class" RCCL - GTS "Jewel of the Seas" (Panamax-cruise ship) RCCL - MS "Freedom of the Seas" & "Independence of the Seas" CUNARD Line - RMS "Queen Elizabeth 2", worlds most famous "ocean liner". 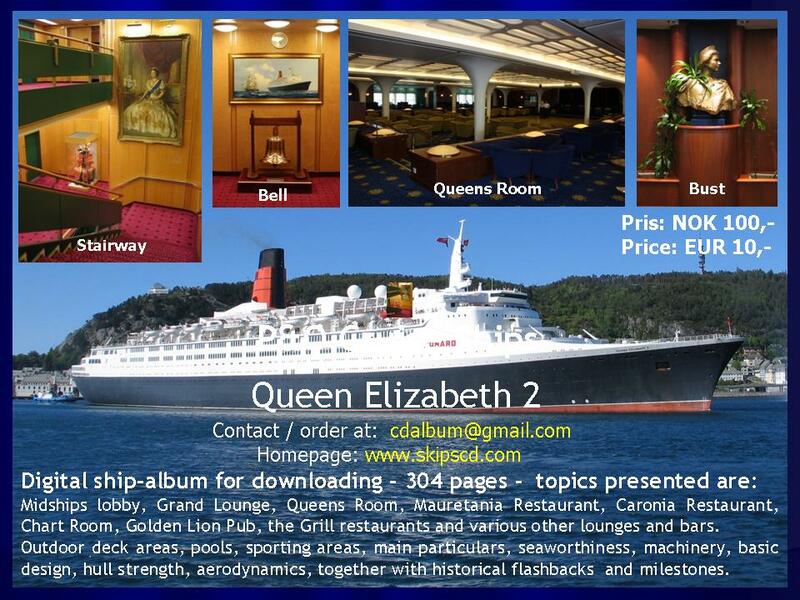 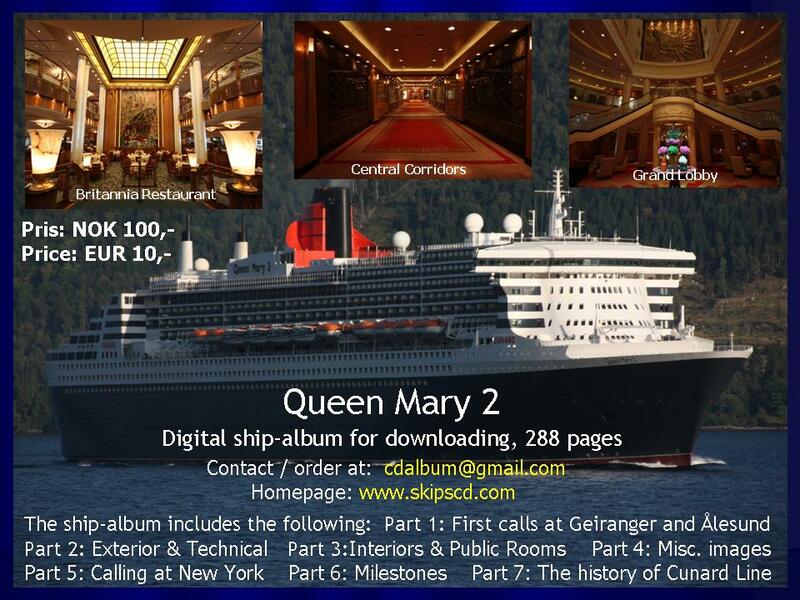 CUNARD Line - RMS "Queen Mary 2", worlds largest "ocean liner". 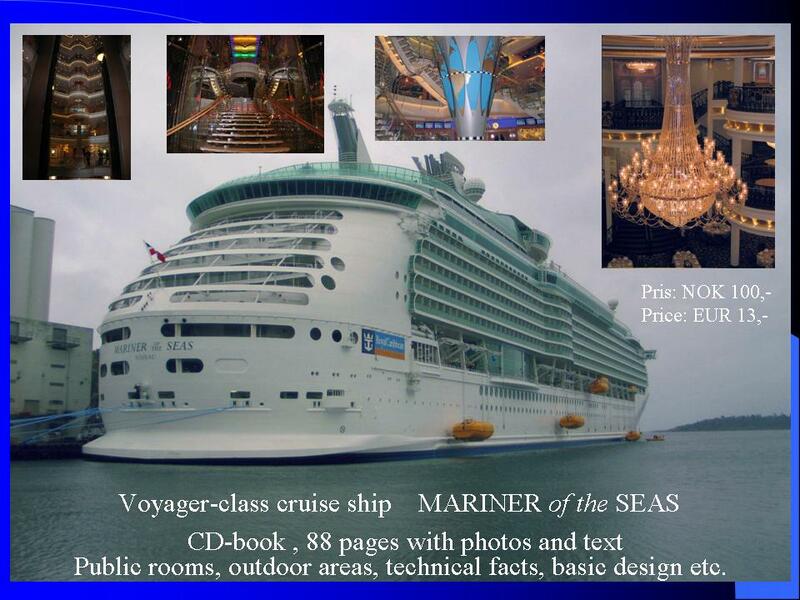 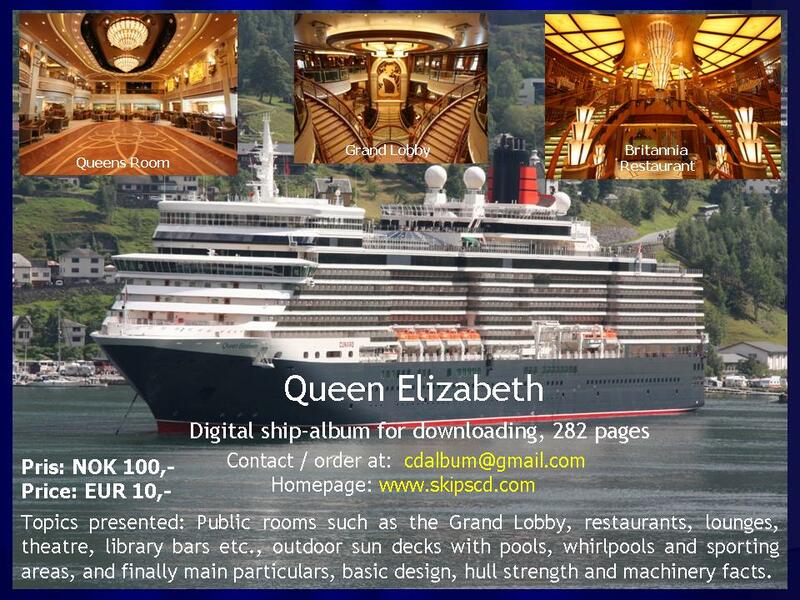 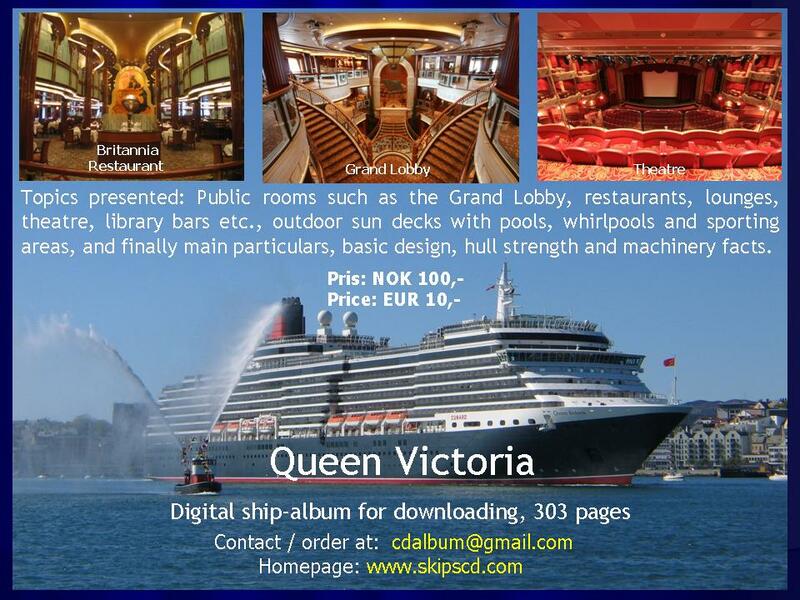 CUNARD Line MS "Queen Victoria" P&O Cruises UK - present fleet. 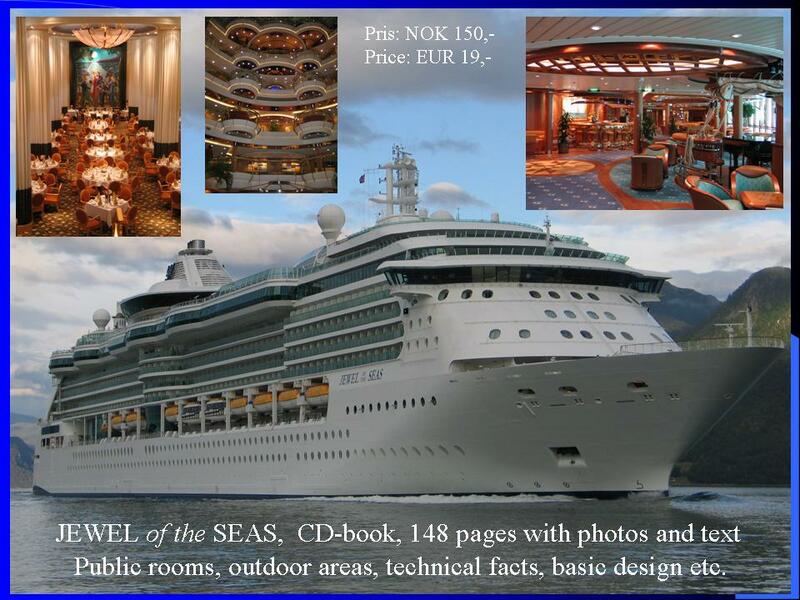 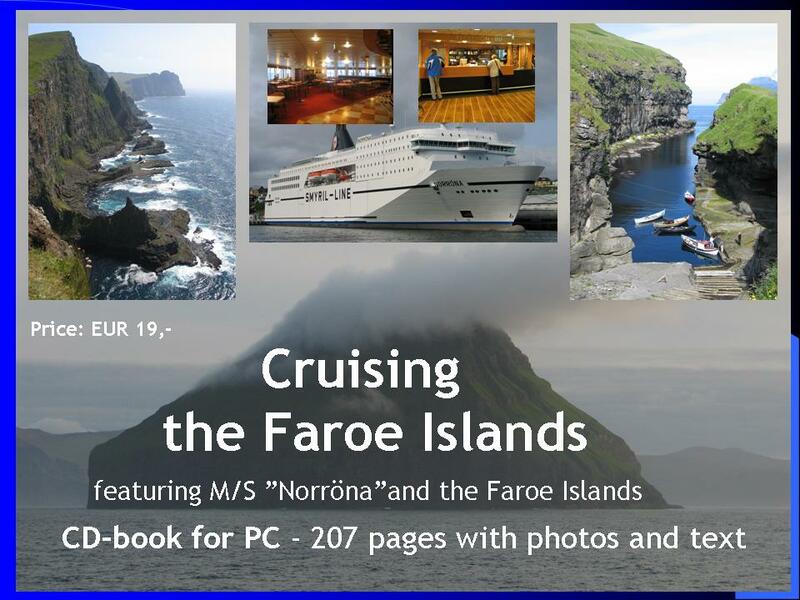 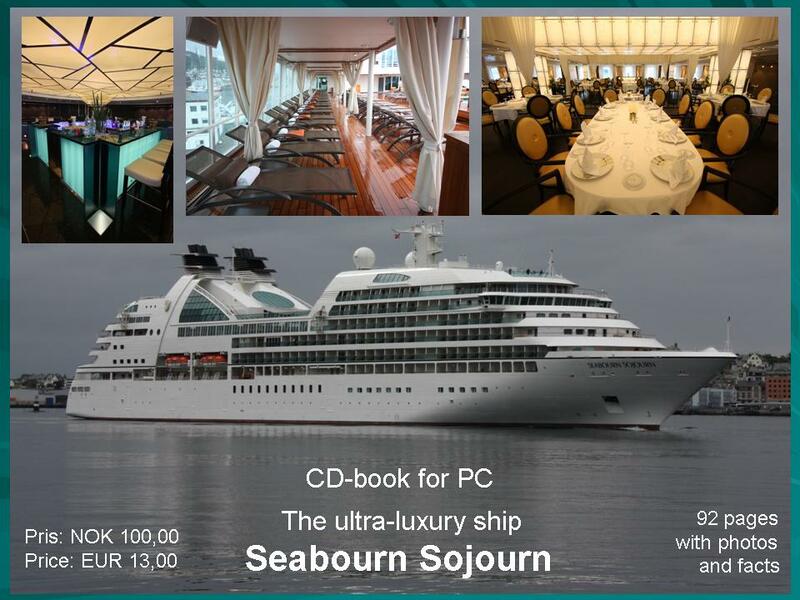 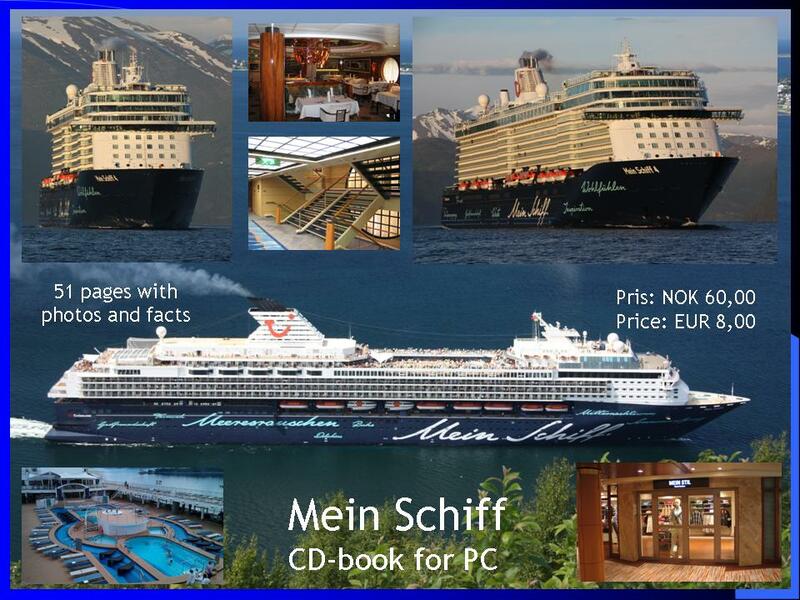 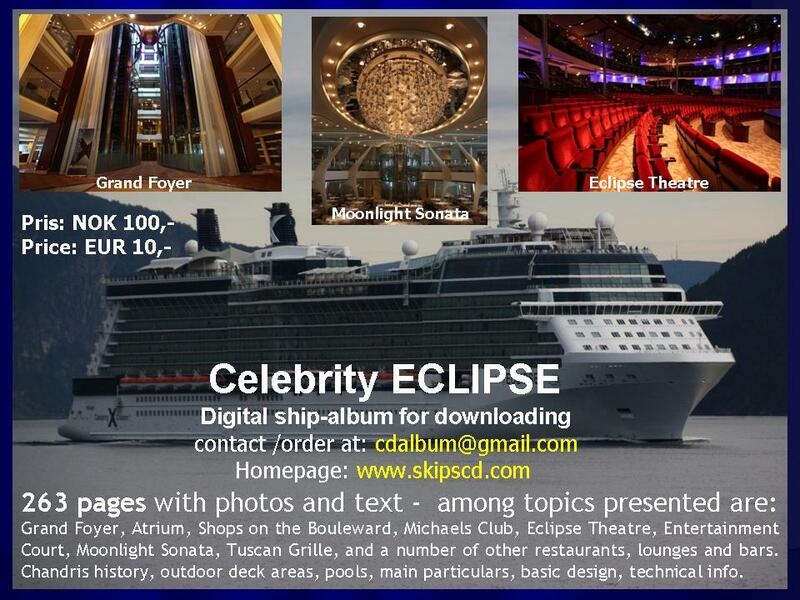 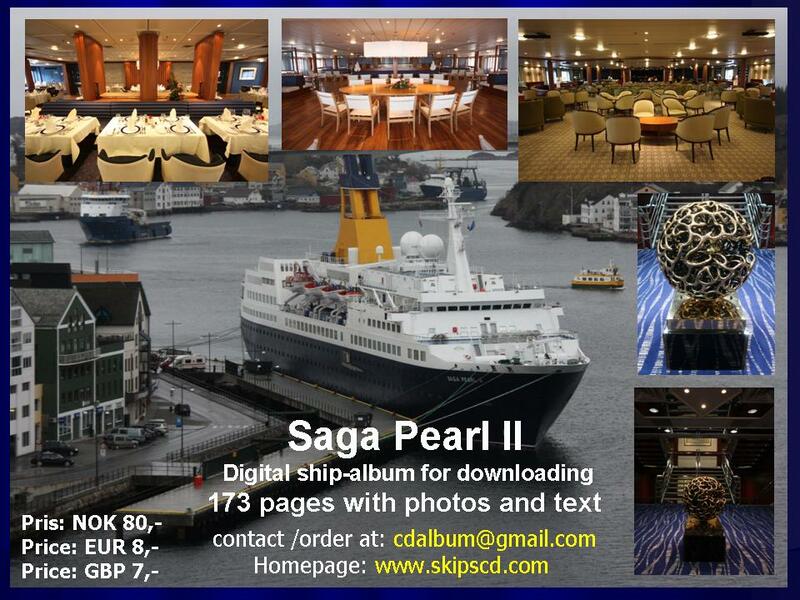 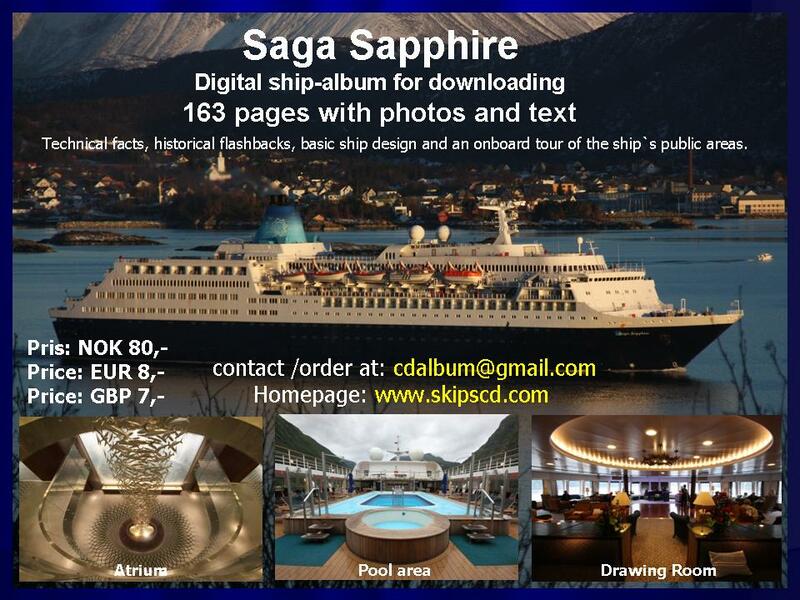 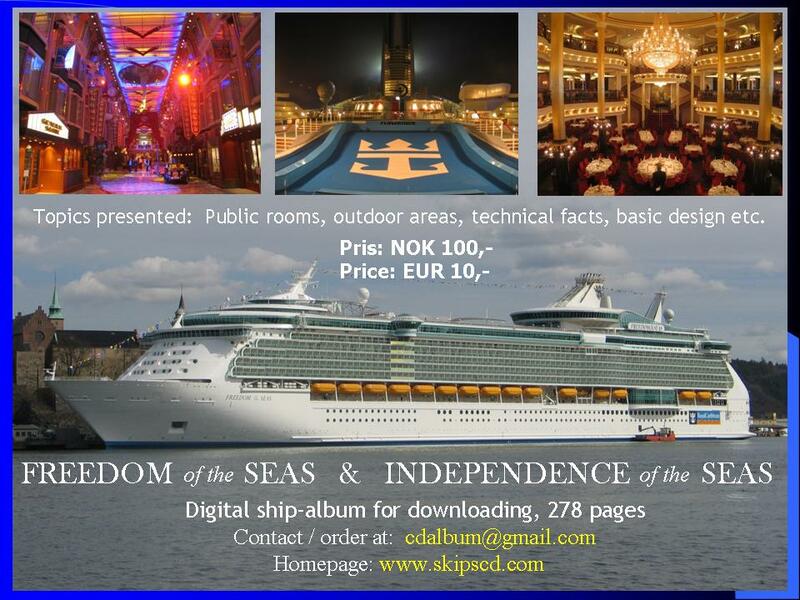 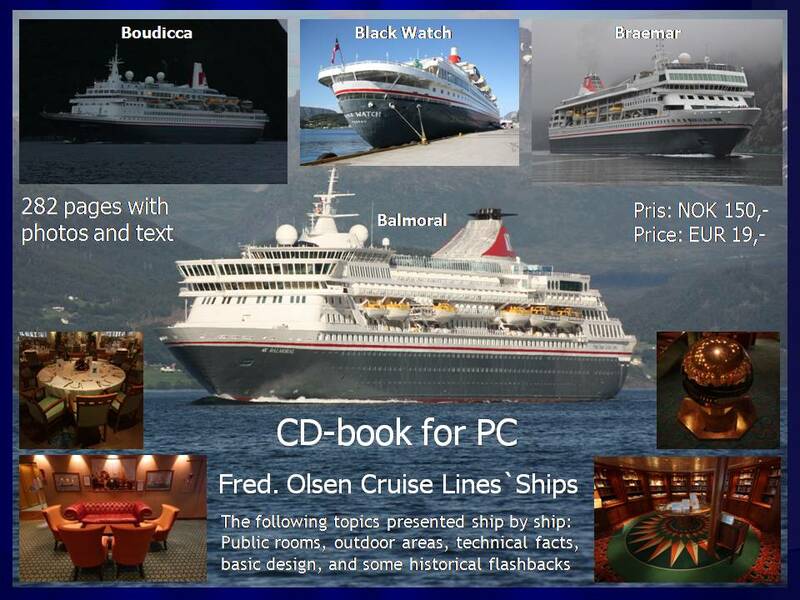 Cruising the Faroe Islands "M/S Norrøna", Saga Cruises: MS "Saga Rose" and MS "Saga Ruby" Saga Cruises: MS "Saga Pearl II" Saga Cruises: MS "Saga Sapphire"